Genetic differences in immune response demonstrate interaction of genetics and environment linked to disease risk. 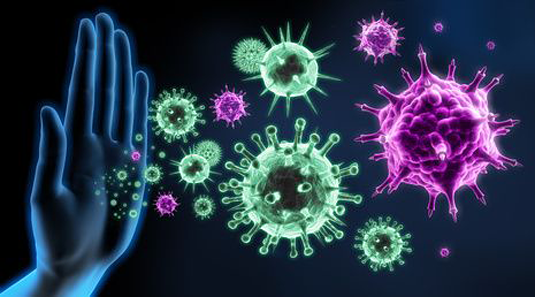 It is widely recognized that people respond differently to infections. This can partially be explained by genetics, shows a new study published in Nature Communications by an international collaboration of researchers from Germany and the United States. The study maps genetic variants that affect how much gene expression changes in response to immune stimulus. The findings offer novel insights into the genetic contribution to varying immune responses among individuals and its consequences on immune-mediated diseases. “Our defense mechanisms against microbial pathogens rely on white blood cells that are specialized to detect infection. Upon encounter of microbes, these cells trigger cellular defense programs via activating and repressing the expression of hundreds of genes,” explained one of the senior authors of the study, Professor Veit Hornung from the Ludwig-Maxmilians-Universität in Munich and formerly from the University of Bonn. “We wanted to understand how genetic differences between individuals affect this cellular response to infection,” added Dr. Johannes Schumacher from the University of Bonn, another senior author of the study.